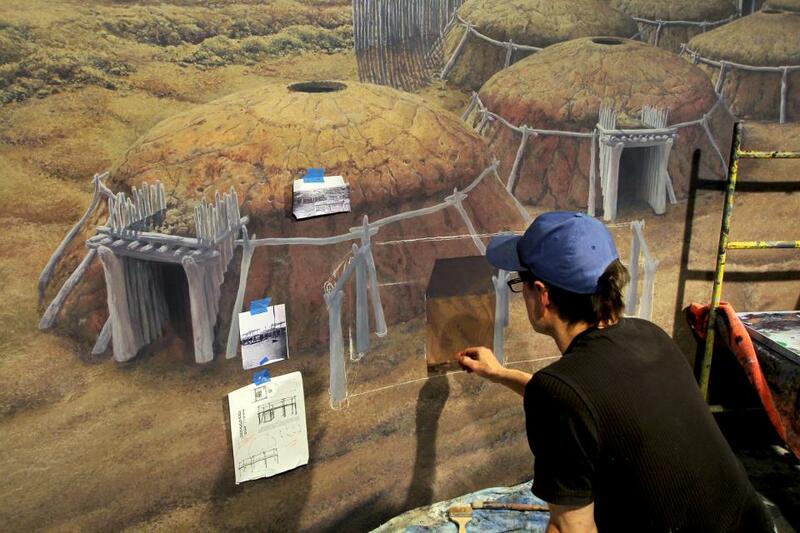 Nationally acclaimed artist Rob Evans spent four months, from November 2013 through March 2014, creating the large-scale cyclorama of Double Ditch Indian Village in 1550 displayed in the Innovation Gallery: Early Peoples. 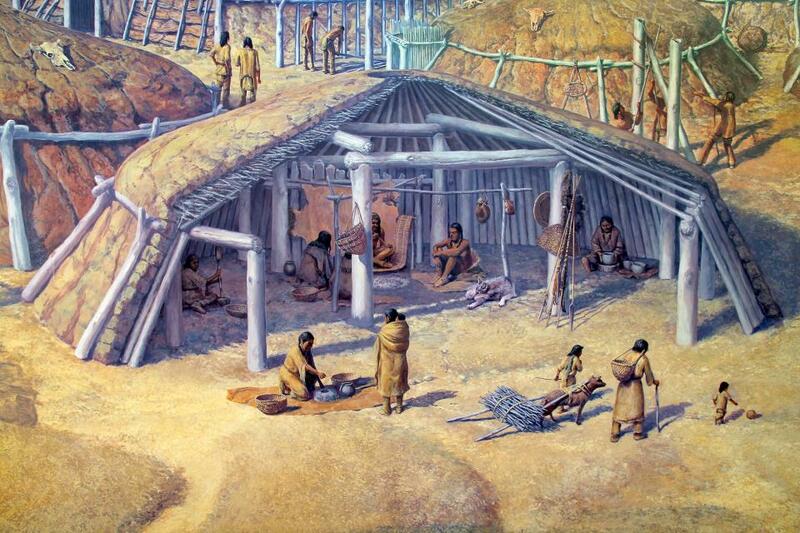 Double Ditch was a major trading center built by Mandan Indians north of Bismarck. It's the largest painting Evans has created, stretching 6 feet by 50 feet. His beautiful work can be seen in world-class venues including the Smithsonian and the Estate at Mount Vernon. Most murals are displayed as prints that are shipped to a site and installed. But for this expansive mural, every brushstroke was painted by the artist on site. 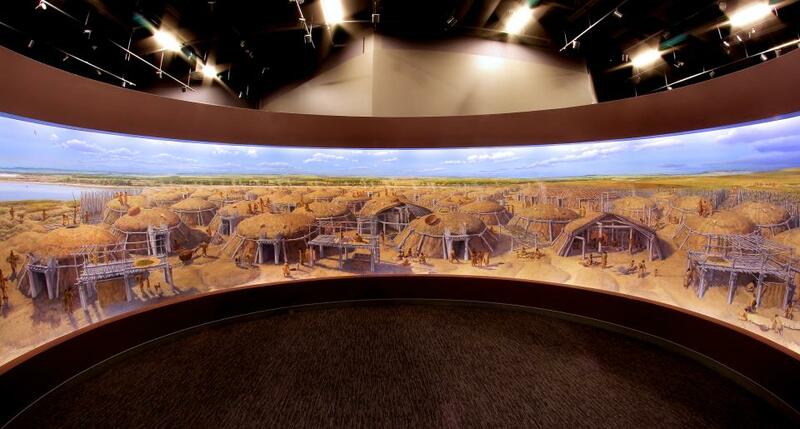 Evans spent about three months researching for this project with assistance from State Historical Society staff and traveling to Double Ditch Indian Village State Historic Site. He even brought dirt from the site to the gallery to ensure the colors were accurate. "There was a remarkable culture here not that long ago," Evans said. "Appreciate what went before you. You have a connection. That's what I hope people would go away with after seeing this mural."